*This presentation was prepared for a workshop titled "Religion, Violence and the Asian Martial Arts" held at Tel Aviv University on November 23, 2015. *The writing style below is that of a lecture—not that of an essay. *As is common in conference presentations, the audience had the opportunity to ask questions about the presentation. I would like to give this opportunity here as well. If you have a question about the content of the presentation, please submit your question using the site’s contact form, and indicate “presentation” in the subject box. The questions and answers will be posted on-line. The title of this conference suggests a possible intersection of religion and violence within the context of Asian martial arts. In fact, it is a very convenient assumption that such a merging had existed at some period, one which is warmly accepted by many martial arts enthusiasts as well as scholars. The purpose of this presentation is to explore the validity of this assumption, re-evaluate its components, identify problems, and suggest a different approach if such is necessary. There are inherent problems with each of the components of this assumption! First we should examine religion factor. Instinctively what comes ot mind is: religion? what? which? when? where? There’s a truck load of buddhist doctrines, and plenty drivers. From Kukai to Eisai in the ancient period, to Takuan (not the side dish, rather the monk who invented it) in the early modern period; Or Shinto? A vague religion with millions of gods; How about Daoism in its Japanese version? Or the hybrid Shugendo? It gets even more confusing because before the Meiji Restoration (1867) there was no clear separation among religious institutions like there is today. A religious center included Buddhism, Shinto, Daoism and folk religion, and warriors, with little understanding of what is what, just followed them all to varying degrees. Second, violence? How do we define violence? What would be considered violence? Let’s consider a Sengoku period archer who strikes an enemy combatant in the eye from 200 meters. Do we look at it the same way we would look at three foot soldiers running those 200 meters, reaching the enemy and hitting him with heavy sticks until his scull shatters? Would we tend to say about the first: “masterful!”, “elegant!”, and about the latter: “extreme violence” ? Then, there is this most common term: martial arts! —a term I don’t particularly appreciate. In fact, a term that I view as inaccurate and misleading. It is convenient thus loosely used without real consideration to how off-the-mark it strikes. Art? What art exactly? Ah, perhaps performing arts, as many explain it. Seems like martial artists are equated with kabuki actors and other similar performing arts. How about, “the art of underwater sabotage” or “the art of driving a tank”? We can go on and on with these examples, but I believe that even those with no military experience will find these terms funny at best, or simply weird. Let me begin by addressing the issue of “art” in Martial Arts. And the reason why I begin with this topic is that if we understand it better, or define more clearly what we are dealing with, we will then be able to examine it in cross reference to violence and religion. Why is clarifying this issue so tricky? Because we fell in love with a concept that never existed. We created history to our liking. We love the sword, here representing the totality of all that is martial, that is the result of hard labor of the sword maker, and we admire the perfection of the blade, and the magnificent decorations on the scabbard or the hilt. If there is any art at all it is probably these decorative fixtures. Why is it important to make the distinction between martial arts and martial skills/traditions/way/disciplines? Because, I will argue, there were no martial arts, or at least what we today think of as martial arts, during the age of violence in Japan. In most likelihood the term “martial arts” came to be as a result of uninformed translation of the Japanese term bugei (i.e., BU武=martial or military; GEI芸=art). “Bugei" appears as early as the 8th century C.E. in the Nihon Shoki, but I highly doubt it was meant to describe actual warfare and combat along the gentle and delicate art forms that developed in ancient Japan, Nara and Heian periods. Perhaps if we look at the early reference to bugei as performance or display of military skills in formal events of the ruler’s court, it would help us distinguish and focus on the true and ultimate nature of the subject-matter, that is, after all, martial skills for killing efficiently. During the centuries that followed we see terms that emphasise skills (jutsu 術), thus kenjutsu, bajutsu, sojutsu etc. Then there is the term “budo 武道” (“martial path” or “martial way”), since as early as the 12th century, that seem to have been referring to the totality of a warrior’s training and life. The 13th century legal code Goseibai shinshikimoku simply instructs warriors to adhere to budo, without any explanation of what that actually means. Apparently, budo was a familiar term to warriors. An article in the mid-15th century house codes of Asakura Toshikage describes the practical approach to martial skills quite vividly, stating that "Long and short swords of famous makers should not be desired. Even ten-thousand such swords cannot win a hundred spears worth [only] one-hundred mon. In such a case, if [instead of] ten thousand, one-hundred spears are carried by one hundred men, defense is certainly possible." 1. Martial Traditions (ryuha 流派). For example, Takagi, Shinkage, Asayama, Gikan, Sekiguchi, among many others. 2. Martial Way (Budo 武道) as a general all encompassing term, and Martial Disciplines (ending with do 道, jutsu 術, ho 法). For example, Karatedo, Judo, Jujutsu, Ninpo, Kyudo, Iaido, Heiho etc..
3. Martial Skills (bujutsu 武術, or the ending -jutsu 術). For example, Kenjutsu, Bojutsu, Jujutsu, Sojutsu, etc. In conclusion, the common use of the term “martial arts” creates an unintended diversion, which causes us to overlook the fine historical details. In Japan, “martial arts” represents martial traditions (ryuha 流派), which are clearly defined structured transmission of martial knowledge that includes techniques, history, biographies, legends, philosophy, strategy and world view. 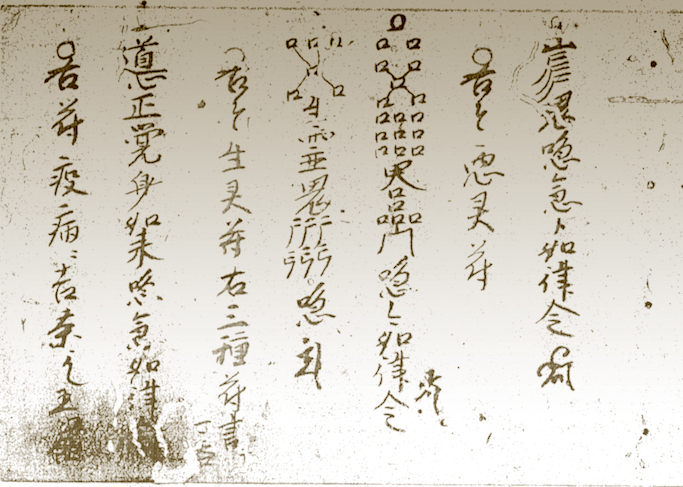 Such unique structured transmissions are particular to Japan since their methodical formation during the 17th to 19th centuries, with some few documented exceptions dating before that period. In post WWII, starting after the end of the American occupation of Japan, “martial arts” inaccurately, yet conveniently, came to refer to a bundle of fighting styles regardless of country of origin, characteristics and tradition. During the age of violence, before the 17th century, Shinto gods such as Hachiman, and buddhist protectors such as Fudomyoo and Bishamonten, provided the divine power and protection for armies. Two prime examples are 12th century Minomoto Yoritomo and his tutelary deity Hachiman, and 16th century Uesugi Kenshin going to war with Bishamonten as his protector. Yes, religion was heavily embedded in warriors lives. Warriors built family temples and shrines, employed monks and priests, participated in rituals and religious festive events, consulted with divination priests, and prayed to their gods and dieties. Yet, religion was not an integral part of military training on any level, nor was it a primary consideration in matters of combat. In the early medieval period, or what I refer to as the age of violence, training for war was not structured, and although there were specialists of swordsmanship, learning and practicing was done informally, without attention to decorum, procedures, rituals, or special manners. It all boiled down to simply shooting an arrow and hitting the target. Targets were improvised and could have been anything from a boot to a straw hat, or a living animal. Later in the medieval period, with the clear marking of territories, acquiring martial skills was done within that territory following the local styles and under warriors who were designated as teachers. It was only at this time that we can clearly identify what would later develop into clearly distinguishable martial traditions. At that time they were at the “proto” stage of their development, that is, prototraditions. Throughout this period, religion took back stage. Warriors focused on fighting, much less on praying. And fighting, at the level of samurai, was a profession not an art form. Fighting meant, knowing how to shoot an arrow from a horseback, how to wield a sword, a spear, a glaive, as well as other weapons, and using these in the most efficient way to inflict injury on the enemy. What do medieval house codes tell us about the role of religion? 22. When retiring to Buddhist life and worship, do it with decorum. 30. Do not be disrespectful to a Buddhist monk. 31. Even for the young [warrior], life and death is a most serious matter. Be attentive regularly. Be aware of the transient principle of this world, and first of all be compassionate. Just place in your heart the principle of Universal Law (i.e., Buddhist Law). That is, it will bring an ultimate understanding of the martial way. 13. Choosing an auspicious day for winning a battle or attacking a castle, and considering it for [determining] the timing and direction [of the assault], is futile. You might say that it is an auspicious day, [but] do not let it result in a disaster. That is, even if it is an inauspicious day, and a difficult location, if you prepare a scheme in great secrecy and use deceit, adjust to changing conditions and employ information gatherers, victory will surely be realized. 22. Followers of Jôdô-shû and Nichiren-shû (sects of Buddhism) in this province are prohibited from [engaging in] verbal confrontations... both monks and parishioners are committing a crime. 30. Effort to practice Zen. There are no special secrets to Zen. 72. Trust the Buddha and gods. 1. In accordance with last year’s decision, there should not be negligence in matters of shrines, gods, and prayers. Carry out repairs to the assets and things of these shrines as much as possible. If there is damage beyond hope [of repair], inform the local official (bugyônin) of the reasons. Such lack of responsibility constitutes a legal offense by the head-priest and the clergy. 2. There should never be idleness in temple services, and support should be provided for temple construction. The selection of house codes above indicate that while religion was an integral part of life in warrior society, warrior leaders ensured that religion does not overtake warfare, monks remain subservient to warriors, and reason and practicality overshadow religious beliefs. Kashima and Katori, two adjacent shrines dating back to the 8th century. In both shrines the gods enshrined there are martial gods: Takemikazuchi in Kashima, and Futsunushi in Katori. Examining, for example, acts of violence associated with them, we find documentation of violence against the shrines by local officials, warriors, in the context of land disputes, or cases in which the shrines suffered from occasional robberies and encroachments on their lands. Ironically, one of the forefathers of the Kunii family that provided the headmasters to the Kashima martial tradition, was one of those accused lawless activity by the shrine. In any case, Kashima shrine gained fame as a center of training in martial disciplines because a local warrior of the Kunii house who was affiliated with the shrine, was very skilful in martial disciplines, which became that house’s speciallization, producing some 18 generations of headmasters. 18 generations would take us back to the early Tokugawa period, even though the Kunii house was well connected to the shrine since at least the early 13th century. Here too, even a tradition that claims to be one of the longest living traditions, is not that much older than most other traditions. Another example is the case of the Kuki house, an offshoot of the high-ranking court house of Onakatomi. The Kuki house was based in western Japan south of the ancient capitals of Nara and Heian in the Kii Peninsula. They are known in history for two things: 1. their medieval navy, which is considered the origin of Japan’s modern navy, and 2. for having been entrusted with the leadership of Kumano Grand Shrine, the central shrine for Shugendo. Until today, and without interruption, the head of the family is also the head priest of the shrine. What is less known about the Kuki house is that during the medieval period their navy was often mentioned as a navy of pirates who lived off luting trading ships enroute from China to Japan, or from raiding coastal communities. Another, less known item about the Kuki, at least until after WWII, is that they have developed a martial tradition that was massive in scope, which included almost any weapon known to warriors as well as unarmed combat techniques, warfare strategy and guides. This is a case of a family that is deeply involved in and connected to religious ideology, practices, rituals, and the economy that comes with controlling its central shrine. Here one would expect to find a natural integration between religion and fighting. Nevertheless, the Kuki house split into those who specialized in warfare, and those who specialized in heavenly affairs. Priests were priests, and pirates were pirates. At some point in history, after the age of violence, the Kuki house abandoned its martial tradition altogether. They were strictly the caretakers of Kumano shrine. It was only in the years that after WWII, that the Kuki martial tradition, now known as the Kukishin tradition, was revived, not by the family itself but by an outsider, a local martial expert teacher who knew about the lost tradition and was close to the head of the family. Now, lets look briefly at religious material that was produced by and for one of Japan’s warrior families, the Shimazu house. A manual of talisman, charms and emulets, produced by a major warrior house provide protection to anything from sickness and safe birth to fixing failed love and securing good marriage. But if we look for talisman that is designed specifically for protection in battle, we will have difficulty finding any. On the other hand, an examination of instructions for the usage of kujikiri compiled by the same warrior house seem much more promising. Here we can clearly identify that these esoteric practices are specifically designed to defeat an enemy with the help of heavenly powers. However, this manual is dated 1665, well into the Tokugawa period and past the age of violence. This too, then, is part of the formation of martial traditions rather then a practical preparation for battle. After the age of violence came to an end with the establishment of Tokugawa rule, in what seem paradoxical, hundreds of well structured martial traditions were established. For these newly established traditions religion was not a source for justification or support of violence, rather to certify the superior skills and moral conduct of members of that tradition. The origin of a tradition could be a deity such as was Takemikazuchi no mikoto of Kashima tradition, or the techniques were presented as having some kind of divine origin. We can see the divine being manifested in names given to martial traditions: Jikishinkage ryu, Mugen shinto ryu, katori shinto ryu. For example, in Kashima ryu “shinbu” is a concept that encapsulates the superior fighting and morality of that tradition. 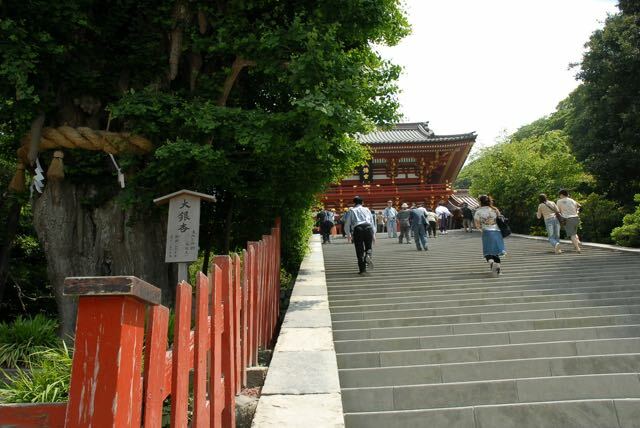 That is, religious ideology based in Shinto classifies the techniques as superior to other “worldly” techniques of other traditions, while those performing them hold the highest principles of human moral conduct. Thus it presents itself as the perfect martial tradition for the Tokugawa period samurai whose role in the world is to be the guardian of morality. But a guardian without tools to guard morality is no guardian, therefore the tradition provides the guardian with the most effective techniques—or tools. Clearly, Neo-confucian thought is a driving force behind such ideas, fitting perfectly with the Tokugawa leadership’s ideology. During the Tokugawa era, the founders of martial traditions almost always inherited the secret teachings from a divine figure such as a shinto god or a buddhist deity. These gods and deities helped to legitimate the tradition, give it a divine, indisputable origin, which then meant that the techniques were indeed divinely superior. 1. When there was violence there were no structured martial traditions, rather proto-traditions, thus we cannot really establish a link between martial traditions and violence. 2. When violence was replaced by Tokugawa’s law and order, hundreds of traditions were formed, often retroactively. We can take this conclusion to further argue that it was the lack of violence itself that gave rise to martial traditions—a sort of a paradox. 3. Religious ideology did not give rise to, justify or supported violence within the realm of martial traditions. Instead, it was used to legitimize a tradition or its warriors-turned-founders. It is a warm and sunny winter day in Tokyo, and viewing the calm pond from my window makes me think about the opposite nature of things. Nature, which could display deep calmness, can also produce most destructive dissasters. So are people and their ways. They can be extreme. Some are optimistic, others pessimistic, some aggresive, others passive, some cheerful, yet others gloomy. One person may venture into danger, while another remains with the safest and most familiar. This is true for everything, our thinking, speech, action, view, living, state-of-mind, and contemplation. But what is the best way for us as humans and followers of the martial way? The answer is given to us in various teachings. The common for these teachings is that they indicate a point of balance, both spatial and temporal. There is the right timing for everything and anything in nature. This timing must coincide with a balanced way of living. Natural milk has a balanced mixture of components, while ghea (clarified butter) is high on fat that can damage the body, and lowfat milk found in grocery stores lacks the balance of natural milk and does not provide as good a nurishment. One should be careful not to fall to extremes. We need to cultivate correct thinking, correct speech, correct action, correct view, correct living, correct state-of-mind, and correct contemplation. In Buddhism this is called hasshodo, or the "Eight Fold Path." For us the meaning is somewhat different, placing emphasis on finding the middle way of each of the eight components of the path. One should keep onself in constant check for following this as it bears direct result on our martial skills. Finally, I would like to talk about the martial way that combines the Martial Gate and the Reigious (World View) Gate in a single path. The Martial Gate is the physical path of technical skills, while the Religious Gate provides us with spiritual, phylosophical, and mental path. Both complemet each other as omote and ura, in and yo, to create a single Way. Entering these paths must be done carefully, and in a gradual mannar--in a balanced approach. As martial practitioners, our omote, or in, is the Martial Way. But because these gates are complementary, the Religious Gate is already embedded in the Martial Gate, even if one can not realize it. Only when such realization becomes clear, when its existance is absorbed by the heart, should the Religious Gate be entered. Otherwise, confusion will take over, resulting in false conception of the single path. Through cultivating the balanced path of the middle way we can advance safely in the Martial and Religious Gates, until they merge. The cherry blossom season is now over, but the momiji (Japanese Maple) leaves are dark red, and the garden in my Inokashira dojo is beautiful. I hope that everybody is in good health and enjoying the changing of seasons. This time I would like to write about kokoro-gamae. Kokoro-gamae is the posture of the heart and mind. It is the intention and resolve produced by the heart, processed by the mind, and revealed in one's appearance, behavior, speech, and action. For example, a prayer without intention has no effect-- words alone do not achieve the goal, and intention alone does not achieve it either. Intention gives true meaning to words, and words create a physical shape to intention. The same is kokoro-gamae and physical posture, kokoro-gamae and walking, kokoro-gamae and handling weapons, kokoro-gamae and exchange of greetings, kokoro-gamae and exchange of bows before training with a partner or when bowing to the kamidana. Kokoro-gamae is an integral part of the very being of every human. As such, each individual is attentive to and expresses kokoro-gamae to varying levels--some have little concept of it, others are well aware of their kokoro-gamae and are able to control it as they wish. The importance of kokoro-gamae, especially for one who is in pursuit of high level of martial skills, is in it being the source and foundation for one's actions, whether in times of peace or during battle. When fighting without intention, there will be hesitation. Where there is hesitation when there should be resolve, there is an opportunity for the opponent to strike. But when there is clear resolve and strong intention, the battle may be won without fighting. Kokoro-gamae is therefore an essential component of one's ki, or kiai. In turn, kiai is the life force and expression of one's spirit that determines one's own overall strength--be it physical, spiritual, or mental--and influences the oppenent's spirit and ability to fight, thus will determine victory or defeat. Therefore, kokoro-gamae is to be learned, practiced, understood, and developed. Kokoro-gamae creates sincerity, and sincerity strengthens one's kokoro-gamae. When we say that one is sincere, it means that that person has expressed clear kokoro-gamae. This sincerity is the essence and foundation of that intention that provides the spirit to our action. Thanks without sincerity is without thanking, scolding without sincerity is no scolding, teaching without sincerity is superficial, even using deception in battle requires sincerity. This sincerity is one's honest intention, and this intention is one's kokoro-gamae. The way to understand and develop kokoro-gamae is by, first, being aware of it at all times, and second, through conscious training. By that I mean that if kokoro-gamae is to be found in every action we produce, then, by formalizing some of such actions as a way of developing kokoro-gamae, we will eventually teach ourselves to produce and control our intentions in every action. Such controlled actions are found in dojo etiquette and decorum, formal bows, correct performance of prescribed techniques, and even the way we arrange our shoes on the rack at the dojo entrance. In addition, there is also the importance of our appearance. Appearance is not only a reflection of one's kokoro-gamae but it inadvertently influences kokoro-gamae. A sloppy outfit might places it wearer in a shaky kokoro-kamae, while a clean tidy outfit may elevate our attention self. For example, the Japanese tradition of wearing hachimaki (head band) is primarily to feel physical tightness on one's head, which helps to tighten one's mindful resolve in action. In training, one should be attentive at all times and avoid a playful feeling ,which not only hinders understanding of kokoro-gamae, but might also cause injuries due to lack of attention. Kokoro-gamae is a key element to a warrior's progression and should therefore be studied and developed diligently.